The U1a Complex is an underground laboratory used for subcritical experiments and physics experiments to obtain technical information about the U.S. nuclear weapons stockpile. These experiments support the NNSA’s Stockpile Stewardship Program, created to maintain the safety and reliability of the U.S. nuclear weapons stockpile. The U1a borehole was originally excavated in the 1960s for an underground nuclear test that was later cancelled. 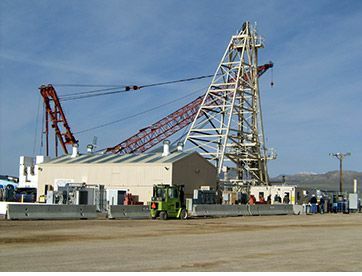 In 1988, the U1a shaft was constructed and the “Ledoux” nuclear test was conducted in 1990 in a horizontal tunnel mined south from its base, 963 feet below ground surface. The current U1a Complex is mined at the base of two vertical shafts: the original U1a shaft and the U1h shaft, which was constructed in 2004. The vertical shafts are equipped with mechanical hoists for personnel and equipment access. A third vertical shaft, U1g, is located between the two main shafts and provides cross ventilation, instrumentation and utility access, and an emergency exit. 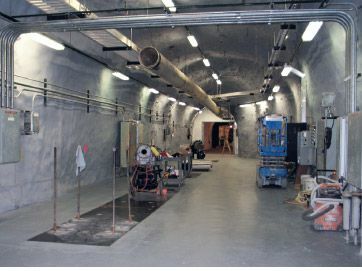 The underground facility is on one level, at the depth of the Ledoux test, and consists of horizontal tunnels and alcoves, which are approximately 1.4 miles collectively in length. The facility provides a high degree of safety for NNSS workers and the public, exceptional security for the experiments, and minimizes environmental impacts. 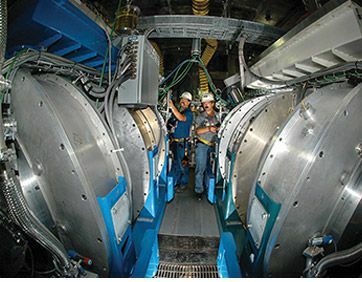 Subcritical experiments are conducted underground at the U1a Complex by the national laboratories. 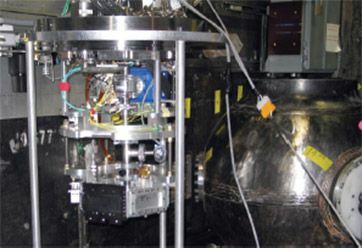 “Kismet,” a proof-of-concept experiment, which did not include special nuclear material (SNM), was conducted in March of 1995 and subsequently led to the current subcritical experiments. Los Alamos National Laboratory (LANL) conducted the first subcritical experiment, “Rebound,” on July 2, 1997. The second subcritical experiment, Holog, was conducted by Lawrence Livermore National Laboratory (LLNL) on September 18, 1997. LANL and LLNL continue to conduct subcritical experiments at the U1a Complex at the rate of approximately one every 18 months. To continue supporting Certification of the Stockpile and aspects of Lifetime Extension Programs (LEPs), it is planned to ramp up to two experiments per year in the 2020 time frame. In addition, an enhanced radiography capability and reactivity measurement system are envisioned. Subcritical experiments use chemical high explosives to generate high pressures applied to SNMs. The configuration and quantities of explosives and special nuclear materials are such that a self-sustaining nuclear chain reaction, or criticality, cannot occur. Because there is no criticality, the subcritical experiments are consistent with the U.S. nuclear testing moratorium. Scientific data are obtained on the behavior of nuclear weapon materials by the use of complex, high-speed diagnostic instruments. The explosive assemblies for the subcritical experiments are placed in small alcoves mined in the sidewalls of the tunnels or in vertical boreholes in the floor of the underground facility. More recently, the explosive assemblies have been placed in confinement vessels in underground alcoves, allowing for the reuse of the alcoves. The current infrastructure and proposed improvements maintain and expand the facility's ability to support specialized missions and projects in a secure, protected, environmentally controlled, and well-managed facility. The U1a Complex continues to strengthen its existing rigor in conduct of operations to support future subcritical experiments and other nuclear projects and missions.